For those of you who live around Klang Valley, you would notice as you take major routes and highway on your way to work or to the city that plenty of construction is currently ongoing. Now some of them are due to the new MRT line whilst others are also works on the extension on the existing lines as well. Did you also know about the other line connecting between Klang and Bandar Utama? 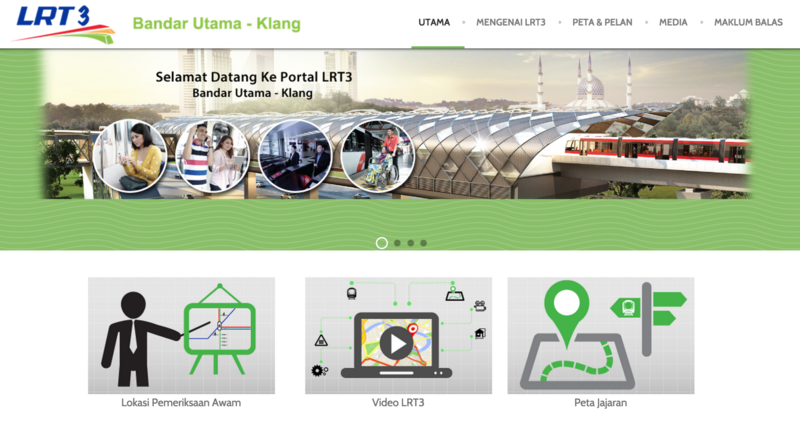 You can find out more in the LRT3 web portal where they have shared quite a fair bit of information. The LRT3 line will intersect with 3 other lines, namely the Bandar Utama MRT line at TV3 Media Prima, intersection with the Putra Line at Kelana Jaya (not at the existing station but at the extended line) and finally with the KTM line at Klang. With the western economic zones of Klang Valley, namely Klang, Shah Alam, Kelana Jaya and Bandar Utama, this line would serve at current 1.2million people with the expectation that the population will rise to 2million by 2020. The LRT3 line will have 25 stations including a depot in Klang over a distance of 36km. Here is an overview of LRT3 stations along from Bandar Utama to Klang. If you have any concerns regarding the stations near your home, head over to this page to understand more. This project will definitely help ease traffic as well as stimulate the locations where the stations are located. The only hurdle we have to get pass is to bear with the construction works throughout the length of the project. The LRT3 line will be a mix of elevated and underground paths, similar to that of the Putra LRT line. To get a visual representation of the project, check out the video below. Construction is due to start in 2016 and they target to get it all completed by 2020. MG Cars set for a return to Malaysia? SPAD nails taxi driver who charged RM950 for a 10km ride!